BOOK NOW FOR CHRISTMAS EVENTS! We are available Dec. 10th in TAMPA!! 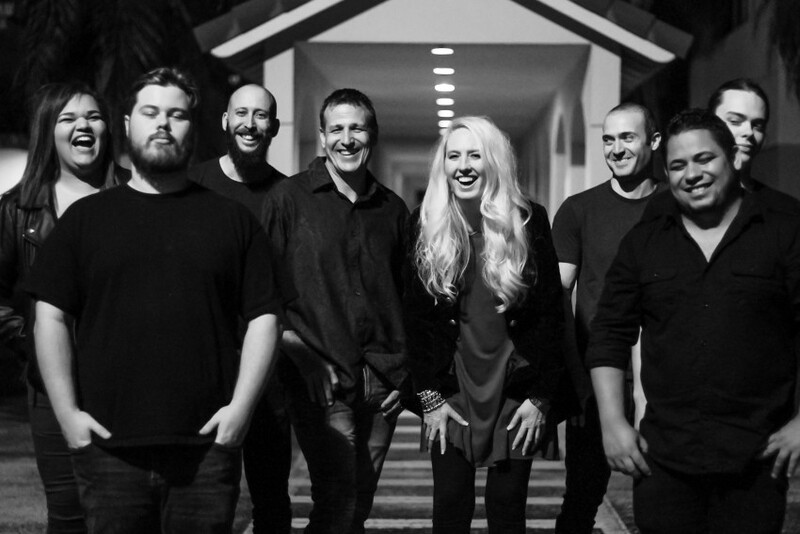 Crosswalk, is an amazing Christian band that has a vast array of covers & originals for varying set lists. This production style band plays at varieties of concerts, worship services, youth retreats, festivals, and more. 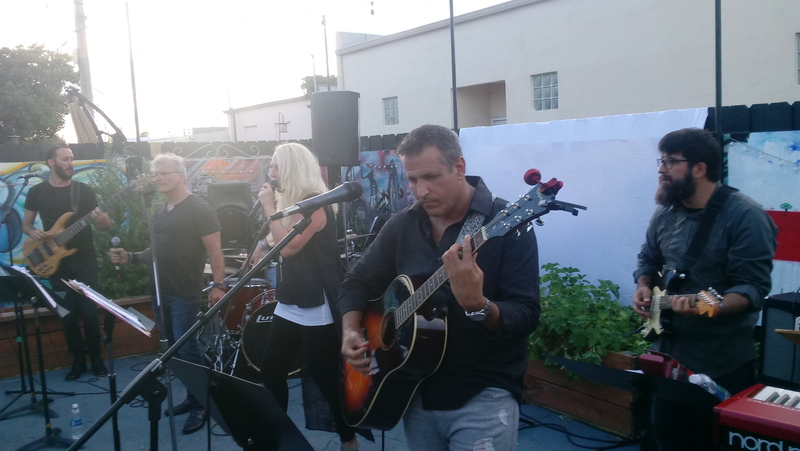 With a highly skilled team of musicians and vocalists, we make sure that your event is top notch. We can amp it up with full stage/lighting, or provide for a meaningful, reflective event. Events such as: Ronald McDonald House, Revive & Ignite Fellowships, Love In Action, Homeless, Salvation Army, Toys for Tots, Car Shows, and more! Had them perform at my church for worship service and they raised the roof!! Loved their song selection, musicianship and energy. They're definitely a blessing and I highly recommend them. Thank you so much Melvin!! Ignite Fellowship is an amazing church! The spirit of the fellowship from the second you walk in the door, is so positive!! 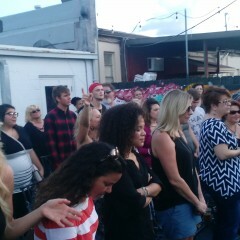 We loved being able to worship with you all and look forward to the next time!! Many continued blessings!!! Crosswalk was amazing! Spirit filled night! 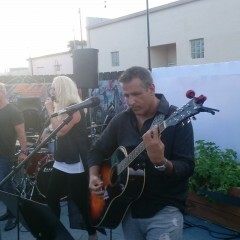 Last night was an amazing night and it was all because of the amazing band. They filled the space with energy, spirit filled, love and such joy for the Lord. We couldn't have welcome our teens any better. We thank you so much and ask God to bless you! 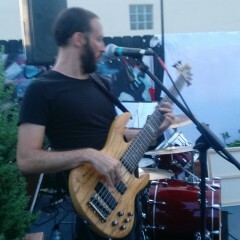 Crosswalk is an awesome band!! We wish to thank the members of Crosswalk. They made our St. Patrick's Day celebration even better!! Everyone in the audience had a great time! Thank you so much Joy!! We sooo much enjoyed being there with all of you! It was a great time!! Thank you for having us and I look forward to another opportunity to worship with the wonderful people at St. Patrick Church!! Hugs!! 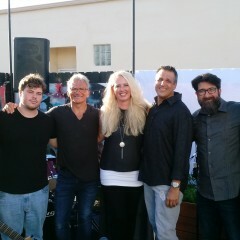 We loved working with Kristin and the Crosswalk Band for our Pet Blessing event. What a phenomenal experience and we can't wait to have them back at other events! Thank you so much Candy!! We so enjoyed the opportunity to worship with the families at the Ronald McDonald House! We look forward to doing it again sometime soon!! All of our love and prayers to all - you, the staff, the children, and families!! It was such a blessing to be there with you all! Experience Worship is an uplifting, spirit-filled experience for all age groups. Their music and presentation is both moving and exciting. 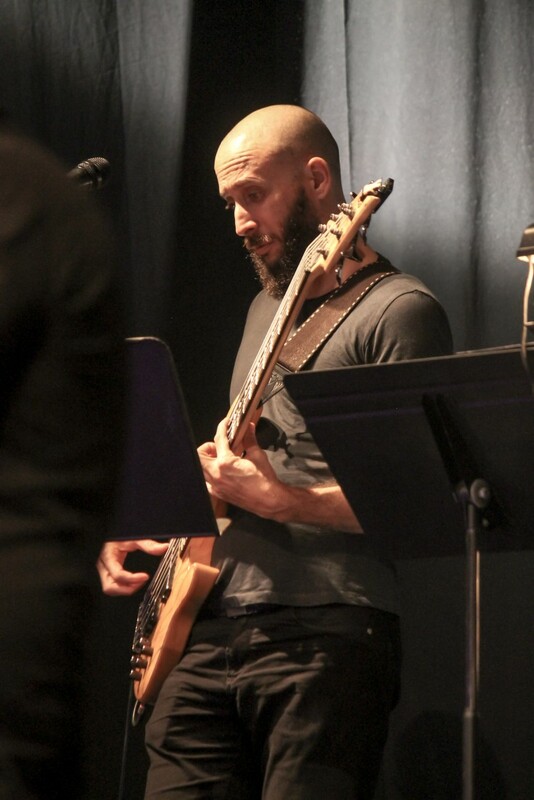 Their diverse musical abilities enables them to tailor their show to any audience and leaves everyone "wowed"! I recommend them highly! Our 100-man residential rehab facility has had the pleasure of being entertained by BREAK OF DAY for the past several years and our men can't stay in their seats during the performance!! They can't sit still; the energy in the room has everyone (residents and staff) singing, clapping and even dancing! The ministry surely does its job as their is clearly a PRESCENSE in the room that touches the spirit in everyone. If you get a chance to hear them, don't pass it up! Thank you so much Marian!! We love to worship with you at the Salvation Army!! The Spirit is definitely felt! It has been our great pleasure to worship with you for the past few years and we look forward to seeing you in a few months!! God bless you all!!! An amazing night of musial worship and loving community. There is nothing greater than musical worship to draw people to God. 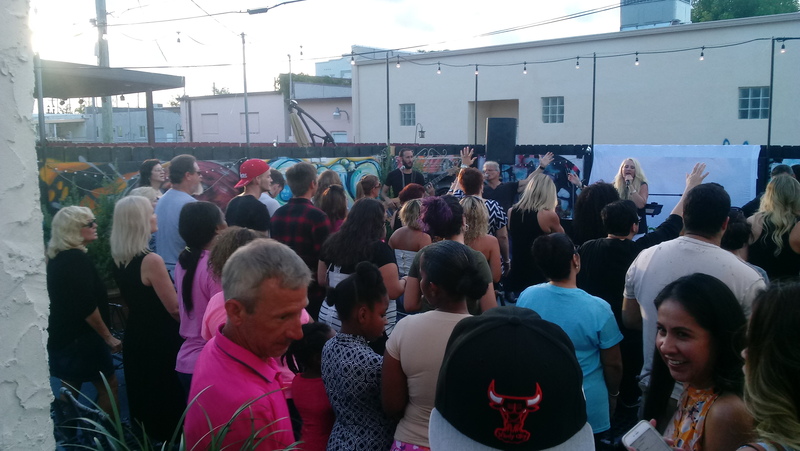 That was the scene last Thursday as we invited Ft Lauderdale's homeless community to come inside, enjoy loving community, worship and then break bread together. No one seemed to mind that the AC was not working as the focus was on praising God! A powerful witness to the power of music and people! 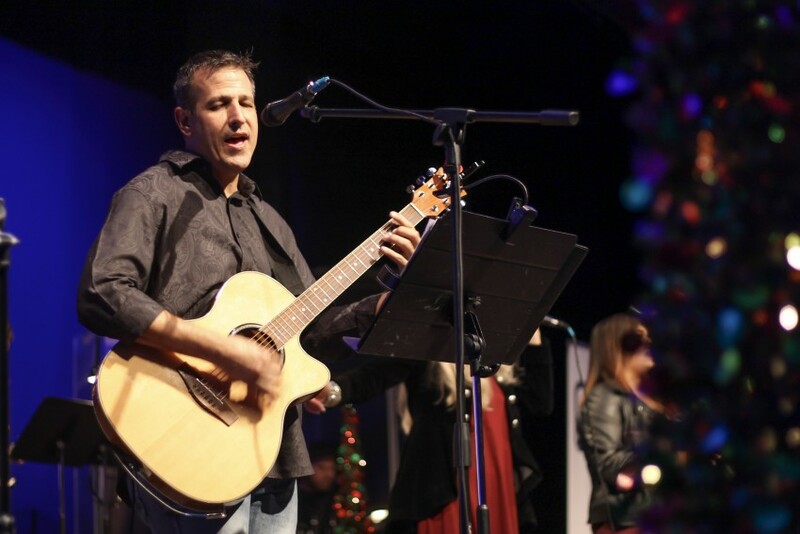 This dedicated group of spiritual missionaries has played for many events hosted both by The Sanctuary Church of Ft. Lauderdale, and for other large events hosted by Harbour View House Missions for over 4,000 people. Its inspirational message of praise and worship is always strongly felt by the listeners. The worship leader and lead singer, Kristen Rozier is truly a great artist whose dedication to her ministry is without question. Thank you so much Angel for your kind words and wonderful review! We absolutely loved being part of the event and to share in the excitement of "Revive Fridays". 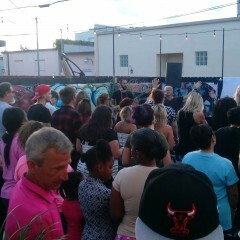 It was a beautiful, genuine, and heartfelt event, and we look forward to many, many more!! God bless you and all you do!! See you soon!!! An amazing worship service that is designed for all ages and can be tailored to fit any event or audience. We have upbeat dance songs, reflective songs, and more. 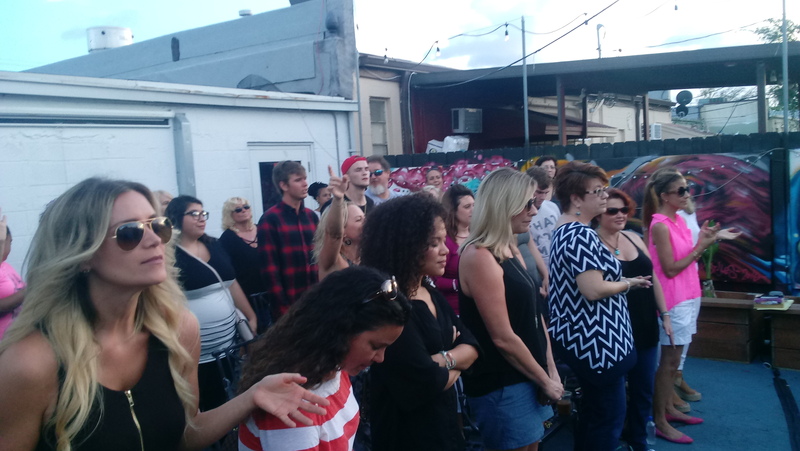 We strive to create a unique worship experience that will involve the audience and give praise! 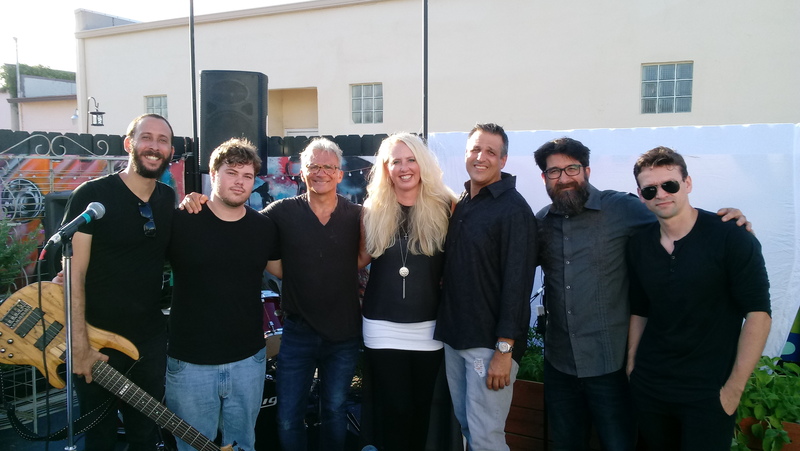 Crosswalk, our full production and event band is made up of some of the most talented professional musicians in the area and we are sure you will not be disappointed. Founder, Kristin Rozier and her EWM2 outreach band partners with the community and beyond in bringing a musical worship experience, like none other, into the hearts and minds of those wanting to worship; those needing hope and faith; those celebrating what the Lord has done in their lives. They serve their community by providing worship services for the homeless and other needy folks, youth, recovery, and the congregation of participating churches. 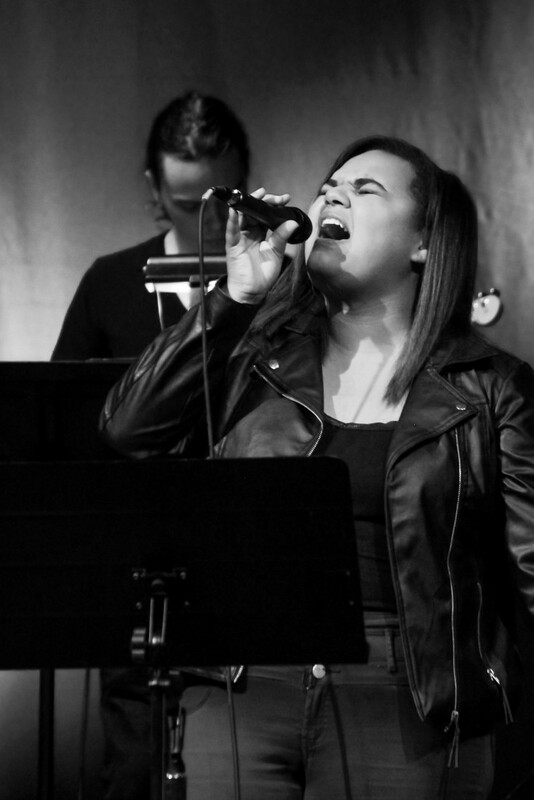 The Experience Worship Music Ministry (EWM2) is a community of approximately 30 musicians and artists whom have joined together to serve the community and share the message of hope through music and outreach. 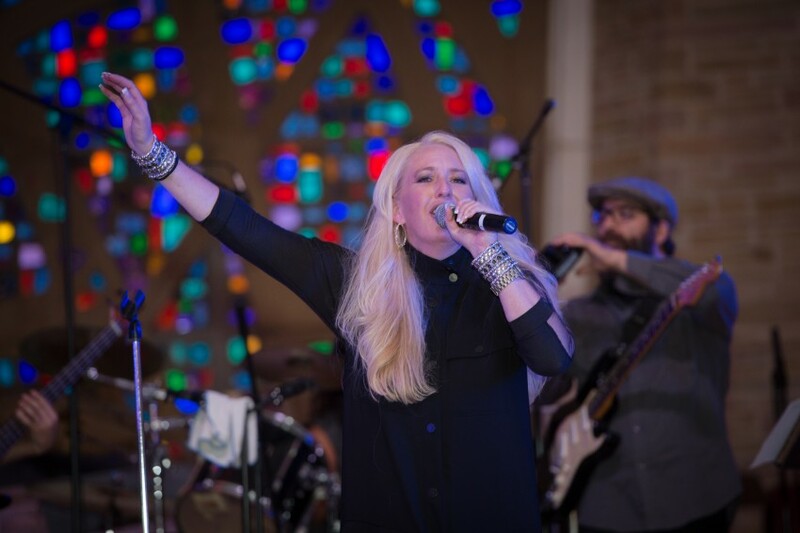 The Ministry was founded in 2015 by Kristin Rozier (Worship Leader) after receiving a strong vision and message to create this outreach musical fellowship; made up of local and internationally known musicians, vocalists, artists, technicians, and clergy, all with a strong passion for serving and outreach. What began as a vision for a “Night of Worship” (N.O.W. ): www.experienceworshipnow.com has now blossomed into a Mission that serves local charities, the homeless and other needy folks, youth groups, Salvation Army, Love In Action, recovery groups, Prison Ministry, Operation Mobilization, Freedom Challenge, The Sanctuary Church of Ft. Lauderdale and other local churches, Covenant House and more. We have our own equipment as needed. Power for outdoor events (if needed) would need to be supplied. We are sponsored by a wonderful Christian based production company, Zebedee Productions, that works with us to get the proper staging. Set Lists vary according to nature of show, concert or event. 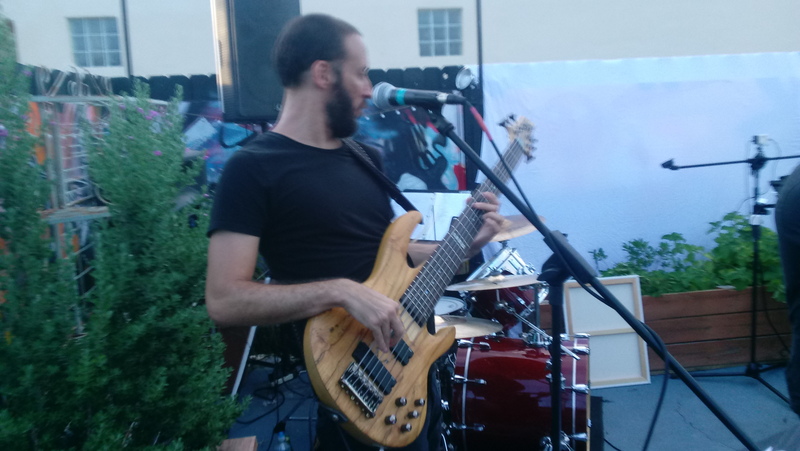 We do Christian Contemporary songs - from a variety - ranging from Hillsong, Jesus Culture, Elevation, Bethel, Jeremy Camp, Matt Maher, etc and some original songs as well. Hillsong, Jesus Culture, Bethel, Elevation Worship, Crowder, and all mainstream Christian Contemporary Bands and artists. We can bring our own equipment for full outdoor or indoor venues. Where needed, we ask that the client provide a tent if possible.